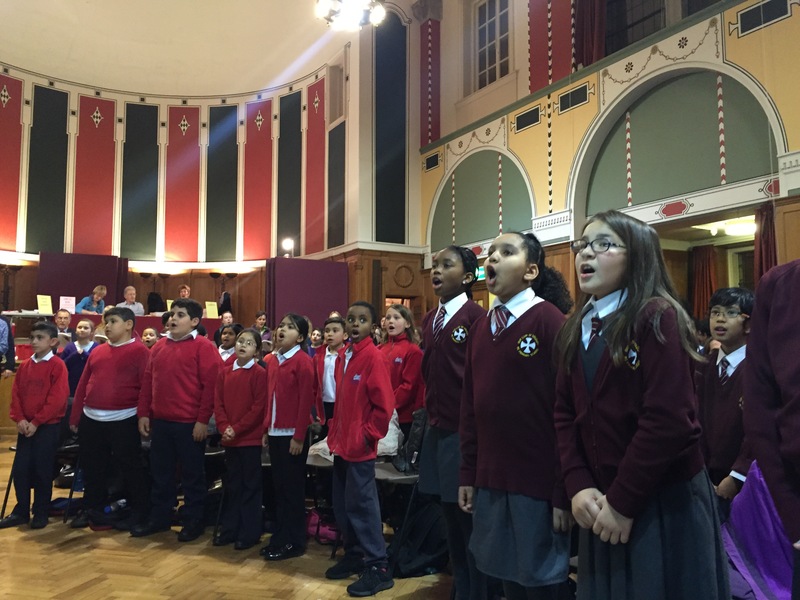 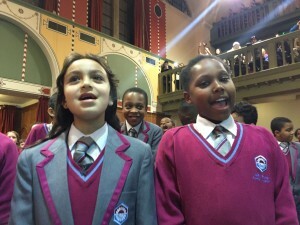 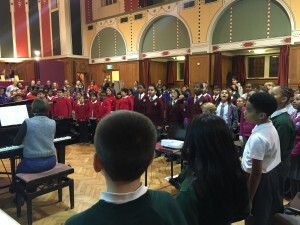 On Monday 30th November 2015 The Bach Choir welcomed local primary school children to join them in singing traditional Christmas carols and festive songs for the annual Outreach visit to Westminster Cathedral Hall, where the Choir rehearse every Monday. 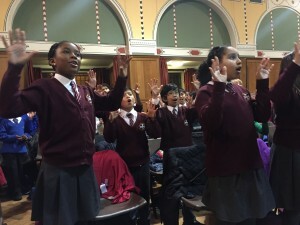 The children came from the Choir’s Outreach schools, which are all located in the Tri-borough area of London, encompassing the London Boroughs of Westminster, Kensington & Chelsea, and Hammersmith & Fulham. 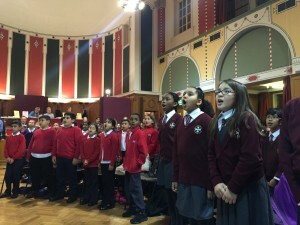 Under the direction of the Choir’s Musical Director David Hill, the children and the Choir sang a selection of Christmas music including Jingle Bells, O Little Town of Bethlehem, Twelve Days of Christmas, Deck the Hall, Away in a Manger, and We Wish You a Merry Christmas, alongside The Bach Choir. The Outreach Project has run this event every year since it began 5 years ago, and this year marks the biggest occasion yet with almost 200 children from all eight of our Outreach schools, and many parents and cares who watched from the balcony. 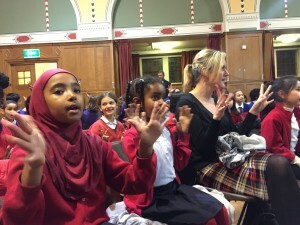 Children and adults alike had a wonderful time, and everyone left smiling and singing. The children will sing with the Choir again at workshops through the year, and then in the end-of-season concert premiering Will Todd and Michael Rosen’s new work, Lights, Stories, Noise, Dreams, Love, Noodles at Central Hall Wesminster on 17th June.